I am often asked the question what it might look like if a local government really took Transition by the horns, initiated it, and acted as the catalyst for the community to start a meaningful and impactful Transition process. Having visited Ungersheim in the Alsace region of eastern France, I can now tell you exactly what it looks like. 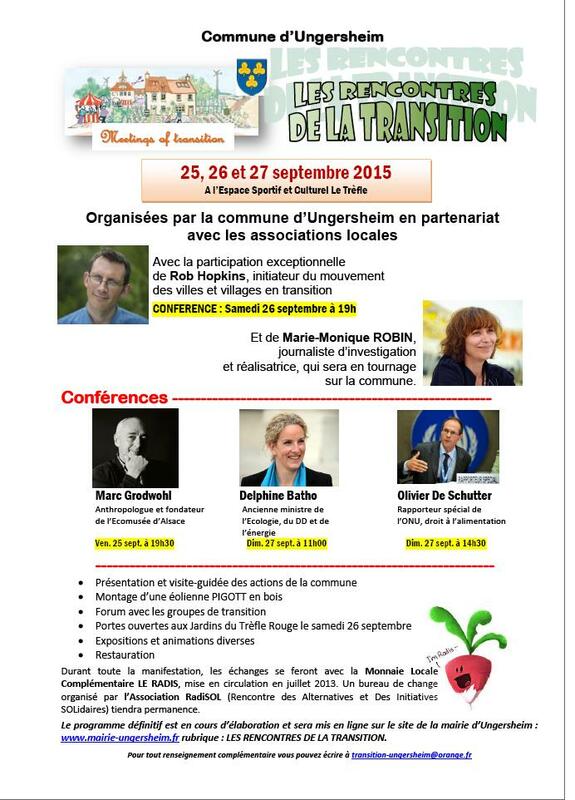 I was invited by Ungersheim’s remarkable Mayor, Jean-Claude Mensch and the Comune d’Ungersheim to speak at their ‘Les rencontres de la Transition’ event (“meetings of Transition”) and to see what they have been doing there. 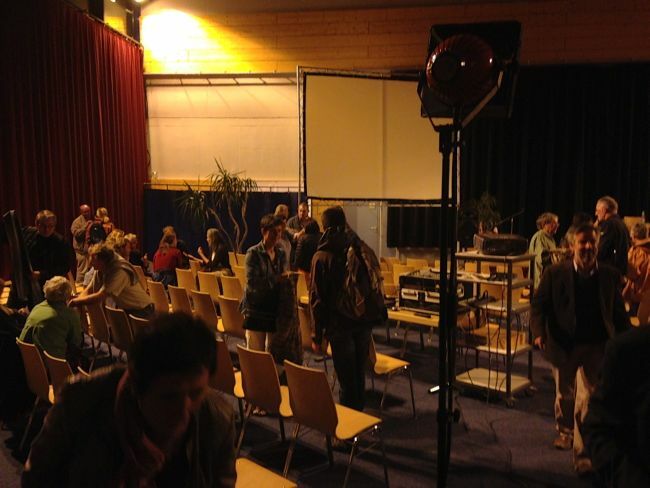 Several years ago, Mensch hosted a visit by an organisation called the General Assembly of the Citizens of the World, at which the film ‘In Transition 1.0’ was screened. It led to a conversation in the Comune along the lines of “we’re already doing that, let’s become a Transition town”. And so they did. 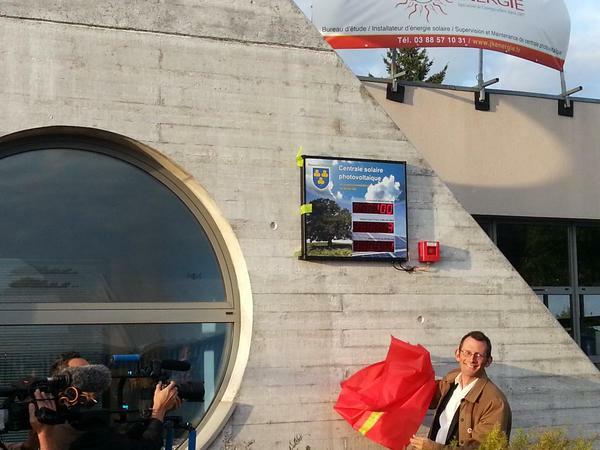 It’s a story that has attracted national and international attention, indeed while I was there, the film-maker Marie-Monique Robin was filming for a documentary about Ungersheim, due out next year. 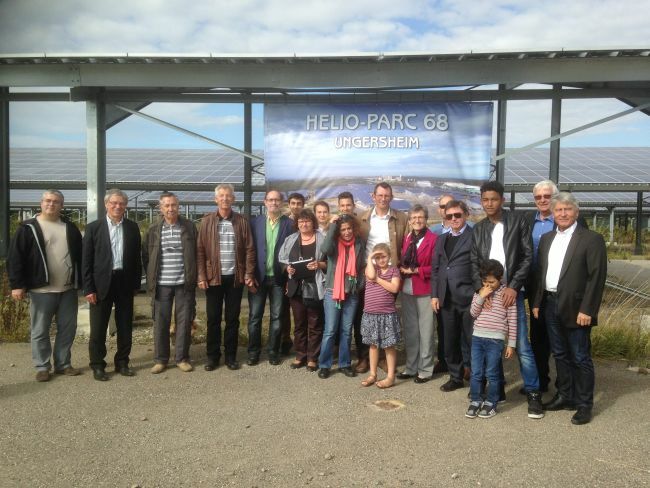 I also heard of at least 6 new Transition initiatives that have formed in towns and villages around Ungersheim, inspired by what is happening there. It’s quite something. 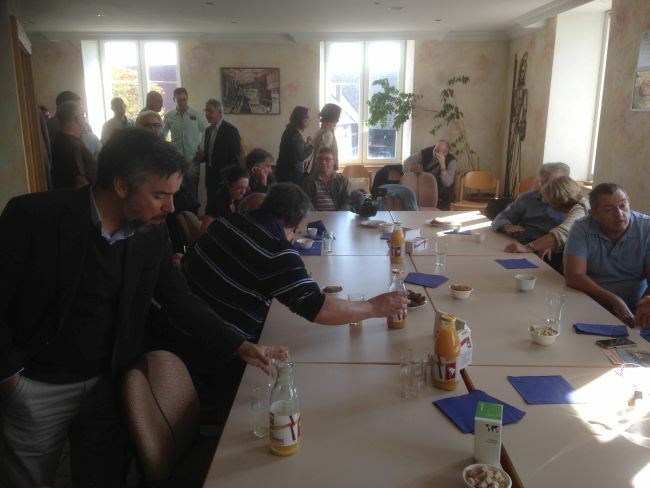 Over a shared organic and Fair Trade breakfast we talked and people asked questions. 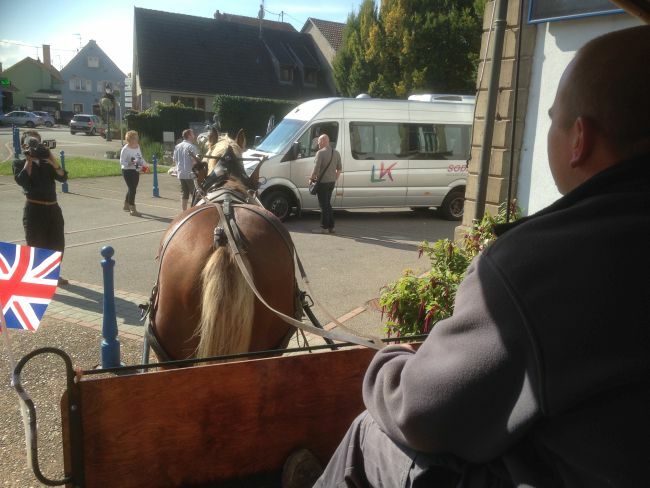 Then we were into a horse-powered carriage, and off to visit a fantastic co-housing project. The Comune had made the land available at a realistic price on the understanding that the houses that were built would be PassivHaus buildings. 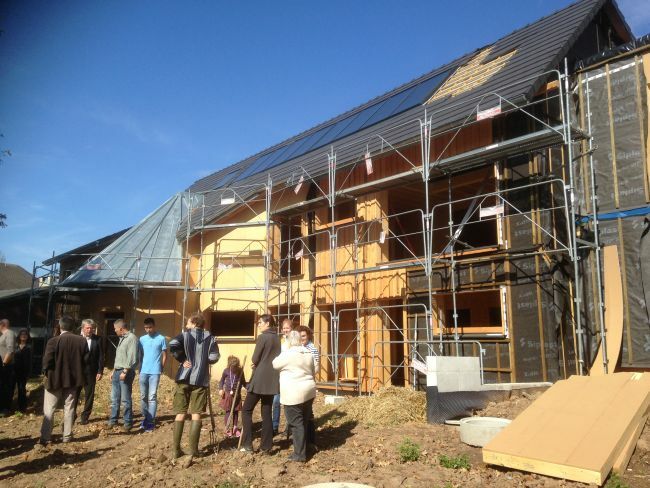 The resultant co-housing project is built using local timber, and will be home to 9 families. Each family have created their own process, finding their own balance between professional builders and self-built. 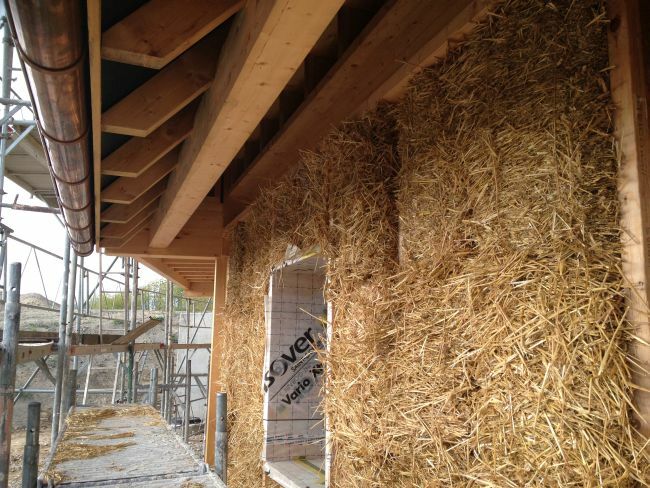 Houses are south-facing, timber-framed, made with ModCell-type pre-manufactured strawbale panels, with a communal solar hot water scheme and shared gardens. 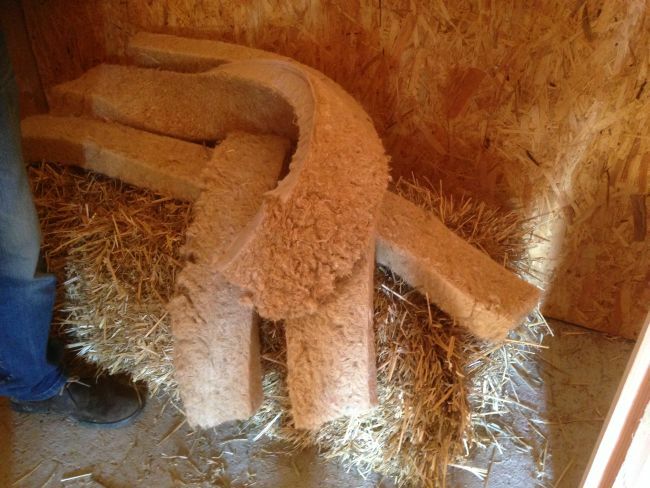 Insulation is with straw, wood fibre boards, blown cellulose and one I hadn’t seen before, “wood wool”. We saw round some of the houses under construction and met some of the residents, as well as the architect, who described it as his “dream project”. Then we were into the horse-drawn carriage and back to the centre of town, to a large marquee that had been erected in the centre of the town, for a communal lunch. 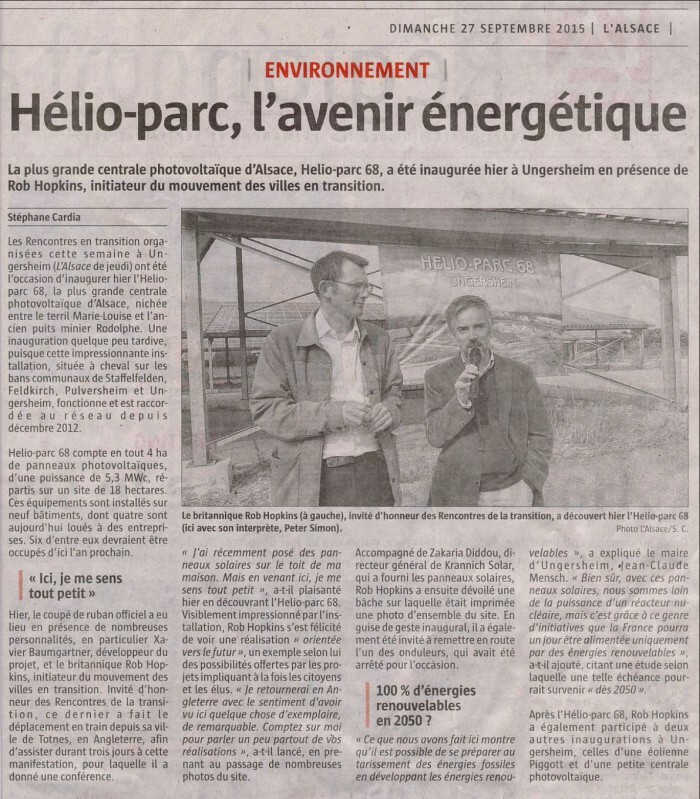 Our next trip was to the official opening of Helio Parc 68, a 5.3MW solar farm. 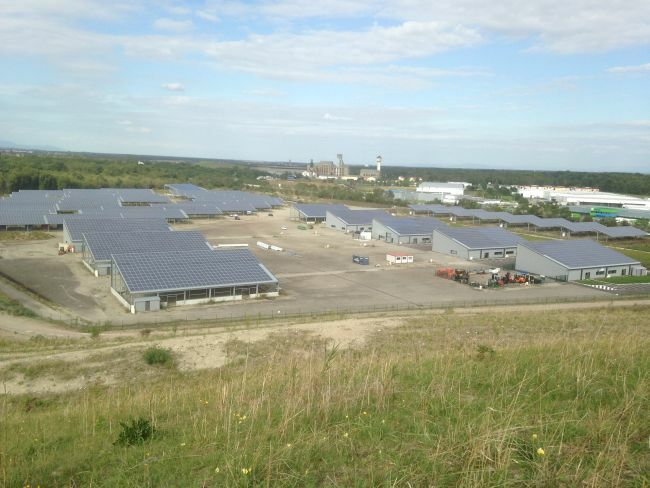 The site was a former waste site associated with the mining, which had been cleared and levelled and transformed into what will become a business park, with the thousands of solar panels, the biggest single solar installation in the Alsace, mounted on structures that could, as some already have, been fitted out as industrial units. Our next stop, and my second inauguration, was at Les Jardins de Cocagne, an 8 hectare market garden which acts as a training and support resource for unemployed young people. 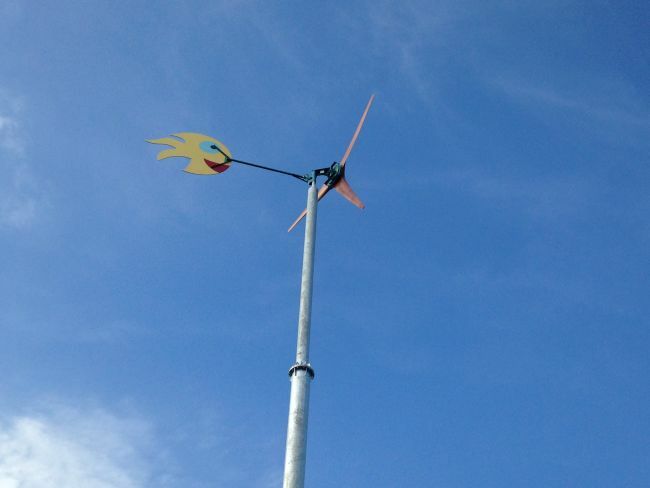 Here, for weeks before, a team including local school children had been building a wind turbine with wooden blades, inspired by the work of Hugh Piggott. 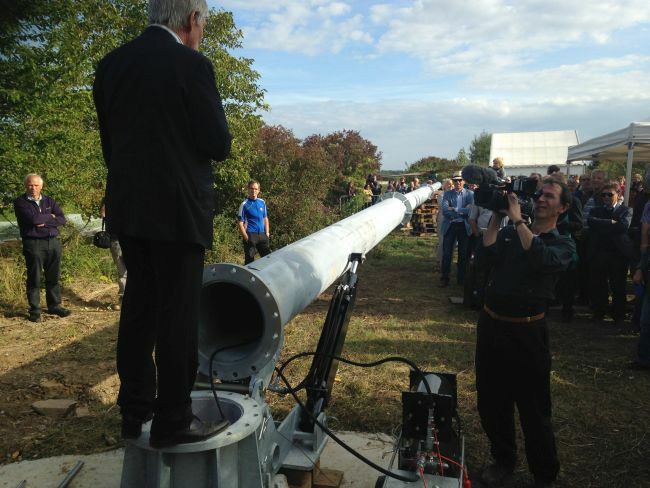 Again, a large crowd had gathered, and after a short speech from the Mayor, I flicked the switch to allow the turbine to be hydraulically lifted into place, to much applause and cheering. Once it had all been bolted in place, it began to spin, much to everyone’s delight. We also looked round an absolutely gorgeous new complex of buildings that will become a place for the market garden to process its produce, to store it in a new underground cool room, to can and preserve produce as well as to have its office. We looked round with the architect. 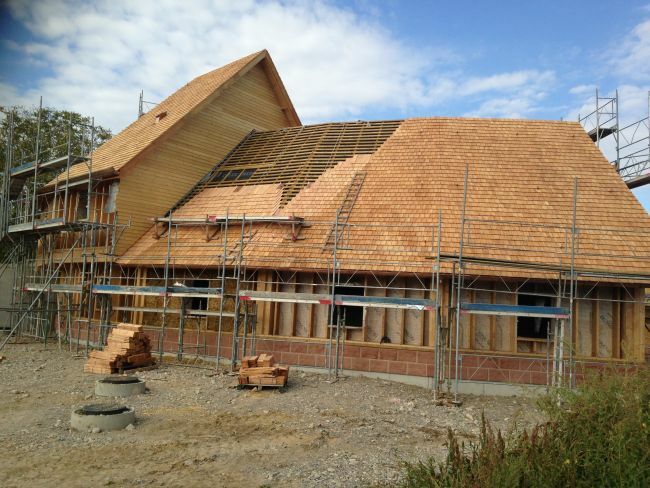 An absolutely gorgeous structure that I would move into tomorrow at the drop of a hat, it featured a local timber frame, wooden shingles on the roof (always a treat for the eyes), strawbale infill and it will be finished with a clay and straw daub coat. The complex of buildings are created around a circular courtyard, what will be an absolutely delightful space. I can’t wait to see it finished. We then looked around the very impressive farm, with dozens of huge polytunnels and wide range of produce. The farm supplies the now-organic primary school among other things, a great example of what they call “short circuit”, shortening the distance between grower and consumer. We then headed back to the centre of town for Inauguration Number Three. For what was called ‘La Semaine Solaire’ (‘Solar Week’), at the Mayor’s invitation, a Greenpeace group from Switzerland had been working with a group of teenagers from the local Lycée, mapping every roof in the town, analysing elevations, size and so on, concluding that if every roof that could take solar PV were to do so, they would meet 77% of the town’s energy needs. It was a project that had had a huge impact not just on the young people involved, but also on the Greenpeace activists. Most of their work has been around saying no to things, campaigning and resisting, and this shift into taking positive and practical steps was something that had touched them deeply. The local school was launching its new 40Kw rooftop solar PV installation, and it was the opportunity to also recognise the young people who had been part of the project, giving them each a certificate, before I formally unveiled the installation’s meter showing its output and generation. 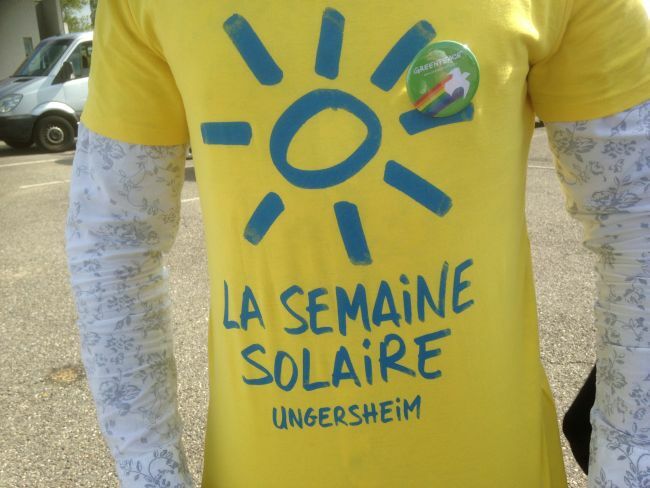 They also gave me one of their ‘La Semaine Solaire’ tshirts, on which they had written, “Pour Rob, on behalf of Lycée Théorore Deck, the first Lycée en Transition in France”. After a short break, featuring local organic beer and a traditional kind of oompah folk band, I gave my evening presentation. Before I spoke, some students from the local primary school came on stage to announce that they were reimagining their school as a School in Transition, and shared with the audience what they were doing, which included recycling, growing food, and having someone in each class whose role it is to turn the lights off each day. With the help of the wonderful Peter, who had been my translator all day, I gave an overview of Transition and why what is happening in Ungersheim is so important. So many people came, that the 20 minutes before I started saw a constant putting out of new chairs. We had a great Q&A session and then everyone milled around the many stalls of great local initiatives, and headed out again to the marquee for supper, wine and conversation. One of the most powerful things about Transition I think and one of the reasons it has spread so far and wide, is the principle we borrowed from Open Space of “Let It Go Where It Wants To Go”. By trusting people, giving resources and tools away for free, with the only ask that Transition groups share their stories and experiences, a culture has been infused that trusts innovation. Like many areas of Transition, the edge between Transition and local government is just that, an edge. Can we say that Transition should never be initiated by a Mayor or local government? It clearly takes a pretty remarkable person to do it, but in Jean-Claude Mensch we have that. I’ve seen a few failed attempts in the past, but the proof of this particular pudding is in the eating. What’s more important is that within the French context, Transition appears to be springing up all over the place. 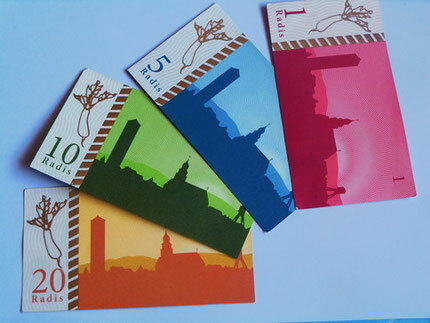 I was told that there are now 60 local currency schemes already in operation in France, with good coordination ensuring that they are all good neighbours to each other. The Transition mycelium is live and running. In this context, being able to point to Ungersheim, where the Mayor and the Comune are making so much amazing stuff happen is very powerful. The story of how the Mayor of Bristol takes his full salary in Bristol Pounds is a story I tell in all my talks, and it always generates a reaction of “wow, this stuff is stepping up and being recognised”. Ungersheim represents the next level of that story. It was an incredible thing to see, and I am very grateful to have been asked. 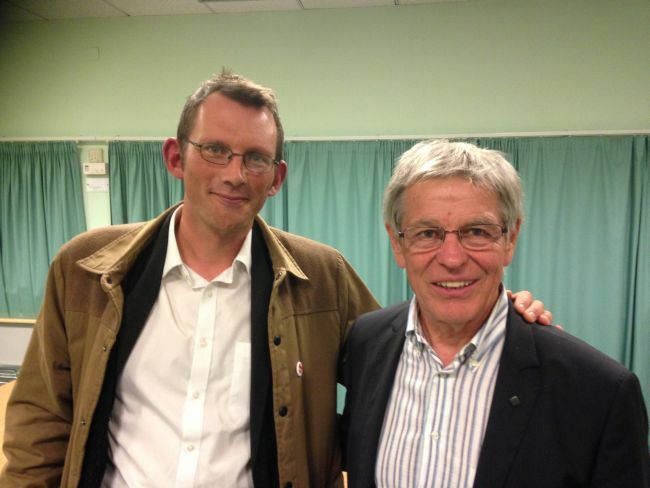 My thanks to Jean-Claude Mensch, to the Comune of Ungersheim, to my host Phillipe and my translator Peter, to Transition France, to Amber and to all the wonderful people I met there.